If I had to rank customer questions, “How often should I have you clean?” would easily make the top 5. Like most professional cleaning services, we are flexible: we will provide just about any frequency desired – weekly, bi-weekly, monthly. We even have some clients who opt for every 3 weeks. What is the most popular option? Most of our clients request bi-weekly cleanings, and that is a good place to start for most people. Here are a few reviews from our bi-weekly clients. How long can I stand it? Ask yourself how long you can go between cleanings without feeling like your home is really dirty. Some people can go monthly if they are very neat and tidy and have no pets or kids, and others will get very uncomfortable indeed. How will I maintain the clean? Once your home is cleaned by a professional service, maintenance takes a few minutes a day. Simple steps such as sweeping your kitchen, putting dirty dishes away every day, and quickly vacuuming will extend the benefits of your newly clean home. Most cleaning services vary in price with the frequency of service performed. Weekly or biweekly cleaning will cost less than every 3 weeks or monthly. Pricing will also be determined by the level of service and attention to detail that you request. What is my family’s harmony worth? Take a look at what other family members do to contribute – are they contributing to the mess… or the cleanup? If nagging about cleaning tasks is having a negative impact on your marriage and family, know that hiring a professional cleaning service contributes much to harmony and happiness in the home! And that could be priceless! A good cleaning service should be able to walk you through the process and ask the right questions to get you set up with the best possible schedule for you. Hiring an Atlanta Maid Service? Ask These 7 Questions. Hiring a maid or house cleaning service seems to be a simple decision. Many people think it involves calling companies and selecting the one with the lowest price. Nothing could be further from the truth. Failure to do due diligence in hiring a maid or house cleaning service will lead to some costly consequences. Here are few questions to ask when you are selecting a maid and housecleaning service for your Atlanta home. Question 1 – Is Your Maid Service Licensed? Hiring an unlicensed maid or house cleaner could cost you thousands of dollars. Depending on the amount you pay a cleaner during the year, YOU are considered by the government to be their employer. If they fail to pay proper taxes on the money that you pay them – and they usually do – you could end up being liable! If they file for disability or social security you will also be liable for any taxes not paid, and you know that the Internal Revenue Service always gets their man (or woman). If an individual or an unlicensed company worker is hurt in your home, there is a good chance you will be sued if the cleaner is facing loss of income and/or high medical bills. Even though she may be a nice person, she probably will have no other recourse. Question 2 – Do You Have Liability Insurance? I am willing to bet that you have some very nice items in your home. If anything is broken, or something is damaged (like your wood floor or your granite counter-tops) a cheap house cleaner will not be able to afford liability insurance to cover damages – and suddenly the cheap cleaner is not so cheap. Question 3 – How Do You Screen Your Employees? A professional maid service will conduct criminal background checks and provide ongoing training for their employees. With the turbulent economy and rise in burglaries and identity theft in Atlanta, you want to be sure that the person in your home handling your belongings has been thoroughly screened. That kind of peace of mind is worth its weight in gold. Question 4 – How Long Has Your House Cleaning Company Been In Business? A cleaning business is easy to start and sadly, many shady characters and would be criminals gravitate to this industry because it IS easy and cheap in the beginning. It takes far more to run a legitimate, professional maid service in the long haul. 50% of new businesses fail in the first year and 90% fail after the 5. The longer a company has been in business the more stable and well run the company will be and the more long-term trustworthy employees it will have, which means more peace of mind for you. Sponge & Sparkle has been in business since 1981. Question 5 – What Is Your Employee Turnover? The average turnover for the cleaning industry is 5 months.Long-term employees is another sign that the business is managed properly. Question 6 – Who Provides The Cleaning Equipment And Supplies? Look for a company that provides all their own supplies and equipment. Employees are less likely to misuse products they are familiar with and trained to use. Additionally,providing supplies for your cleaner can easily add hundreds of dollars a year to your total cleaning bill. Question 7 – How Can You Prove It? 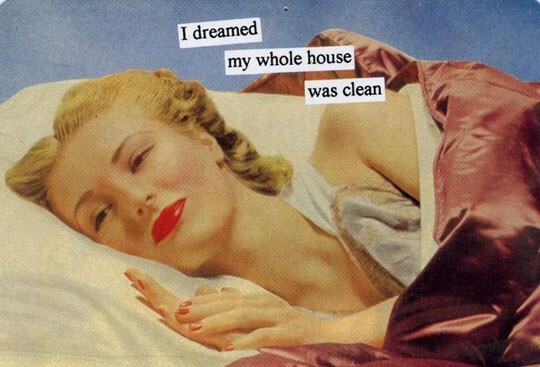 Unfortunately, some maid and house cleaning services will not tell the truth. Be sure to ask for customer reviews, proof of liability insurance and workmen’s compensation, a copy of the business license and anything else you need to put your mind at ease. A reputable cleaning service will furnish this information without delay. Hiring someone to clean your Atlanta home is a very big decision and I hope this information has been helpful to you. About Sponge & Sparkle, Inc.
Sponge & Sparkle, Inc. is an independently owned Atlanta maid and house cleaning service. Sponge & Sparkle has been in the cleaning business since 1981. All of our cleaning staff are employees – that means we withhold payroll taxes. Employee Retention – Our employees stay with us 10 times longer than the industry average. All of our employees undergo background checks. Our company holds liability insurance.